About seven billion people today inhabit the earth; according to estimates of the United Nations it will be nine billion in 2050. Of the present population two-thirds live in cities. These developments have placed the global food supply before a difficult test. In order to feed the world population of tomorrow we need more arable land. But much of the land that is usable for farming is already being farmed, and desertification has exacerbated the shortage. To solve this problem Dickson Despommier and his students at Columbia University in New York have taken up an old idea: building upwards when space is running out in the city. 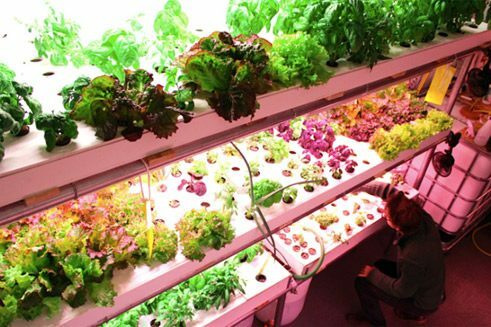 It is the idea of the Professor for Public Health and Microbiology to farm vertically: moving the cultivation of vegetables and fruits into skyscrapers – so-called “farm scrappers”. This has the advantage not only of saving space but also of needing 90 per cent less water than conventional farming. Vertical farming enables year-round harvesting, avoids weather-related crop failures and gets on without pesticides. The food would be grown closer to the consumer so that there would be no long transport routes. Researchers around the world are working feverishly to make the cultivation of fresh green in stacked greenhouses a reality. Zwischen 100 und 120 Gemüsesorten bevölkern die ehemaligen Fabrikräume. Die Infarm-Gründer Erez und Guy Galonska und Osnat Michaeli sind Autodidakten. Der Firmensitz: ein Mix aus Forschungslabor, vertikaler Farm und Veranstaltungsraum. Prinzip der vertikalen Landwirtschaft: Eine Wand dient als Anbaufläche. 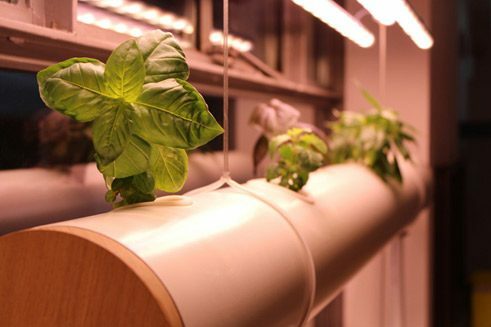 Indoor Farming soll die urbane Lebensmittelversorgung revolutionieren. Mit „Pipe Garden“, einem hydroponischen Röhrensystem, begann die Vision von Infarm. Unter LED-Beleuchtung werden flüssige Nährstoffe direkt an die Wurzeln herangebracht. Die gewählte Wellenlänge der Leuchtdioden ist ideal für die Photosynthese der Pflanzen. Bei Infarm wachsen Pflanzen übereinander gestapelt in Regalen auf. Gemüseraritäten wie Bonzai-Basilikum werden an Hotel- und Restaurantküchen geliefert. 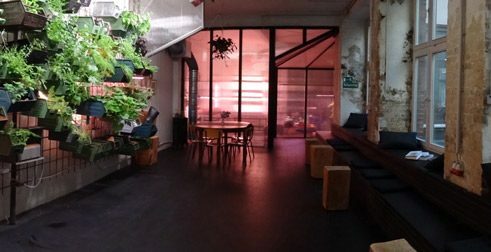 On a factory floor in a Kreuzberg backyard in the middle of Berlin, three young Israelis are also tinkering on an alternative to conventional agriculture. 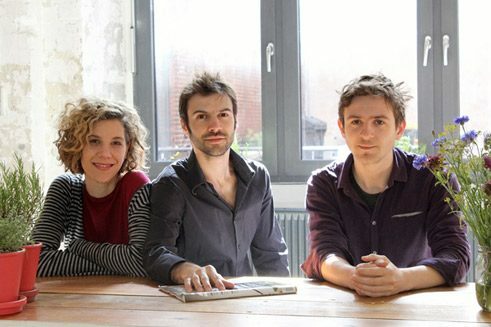 There since February 2014 Guy Galonska, his brother Erez and his wife Osnat Michaeli have been running a start-up called Infarm, short for “Indoor Farming”. 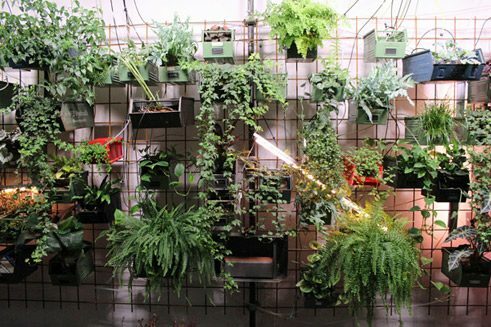 It all began in their own living room: through trial and error the three applied the ideas of vertical agriculture to grow sprouts, seedlings and herbs indoors. 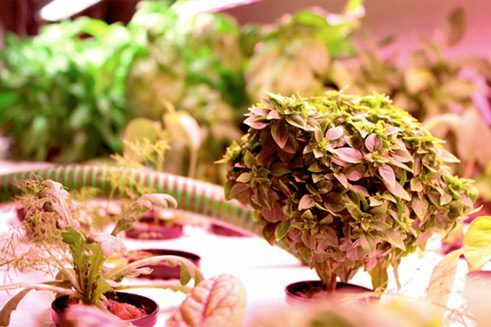 They were inspired by a NASA project that had studied how astronauts could be supplied with self-cultivated vegetables during the increasingly long space missions. None of the three Infarm founders had previous experience in agriculture. But they were one in the plan to live self-sustainingly and to introduce the benefits of home-grown plant food into the city. What began as a mere experiment is today a business model that has set itself nothing less than the goal of revolutionizing the urban food supply. 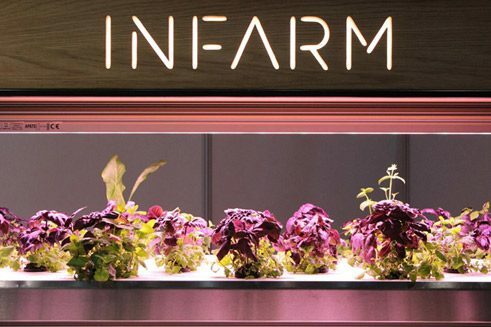 With Infarm the three autodidacts want to produce farming modules that can be installed simply by hotels, restaurants and private persons so as to provide themselves throughout the year with high-quality, eco-friendly food. Farming will be completely decentralized: food then would come not “from the region” but from your own cellar or attic. A very special atmosphere prevails in the former factory premises where Infarm today carries on its indoor farming: it arises from the mixture of the natural growing in a greenhouse and the artificiality of a laboratory. 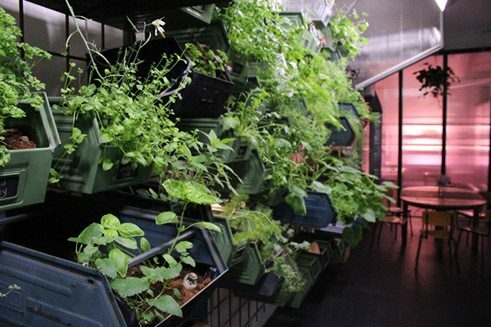 Stacked over one another on shelves and hanging in plastic boxes, plants grow on the walls as high as to under the ceiling, connected to thin tubes joined to a large water tank. Under the right conditions each plant can also grow in a house. Infarm focuses on leafy vegetables. They are smaller and grow faster than fruit-bearing plants such as tomatoes. But the young entrepreneurs grow mainly so-called “micro-greens” – young plants of various sorts of vegetables. Their inaugural product, a small, foldable greenhouse for growing micro-greens, is the first step towards farming at home. All of the between 100 and 120 vegetable varieties make do without soil and sunlight. 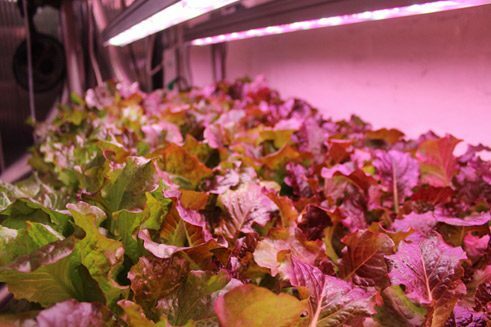 This is made possible by hydroponic technology and LED lighting. 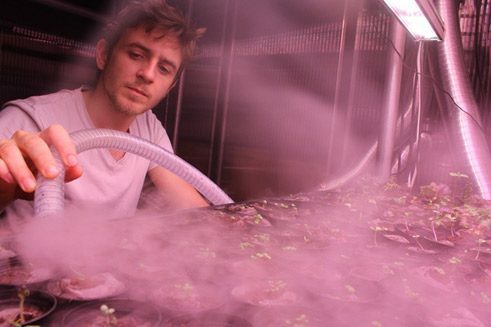 The plantlets are grown in the “lab”, a purple-lit experimental laboratory. The seeds are planted not in soil but in a substrate consisting of coco fibres, which is free of fungi and bacteria. In an incubator with evenly moist heat the seeds sprout fast. Every two hours their roots are dipped in a nutrient-rich aqueous solution. One advantage of this method is that nutrients and water which are not absorbed by the roots can be recycled. LED lightning generates light with optimal colour properties to foster growth and make the plants grow faster than in the field. Energy consumption is high, but LED technology is becoming more and more energy efficient. Moreover, Infarm uses green energy and at least the energy consumption is transparent, say the Galonska brothers. In addition to all the technical cunning of this method of cultivation apart from sun and earth, the vegetables actually taste good: because when the intensity and composition of the light is changed, their taste too is changed by the development of aromas.